Venezuela-Europa: How miserable can a "Socialist" regime be? Imagine a country like Hungary or Poland or Portugal asking the whole world for money as "compensation for the refugees it accepted". Some countries ask for support within an actual union they are in, like in the case of Hungary or Greece. Some declare they are not prepared to accept more than a certain amount of refugees or that they are full, like in the case of Chávez's spiritual brother in Central Europe, Hungarian right-winged prime minister Viktor Orbán. Declaring the country needs money as compensation for the refugees and other immigrants it received for decades would be considered completely cheap. 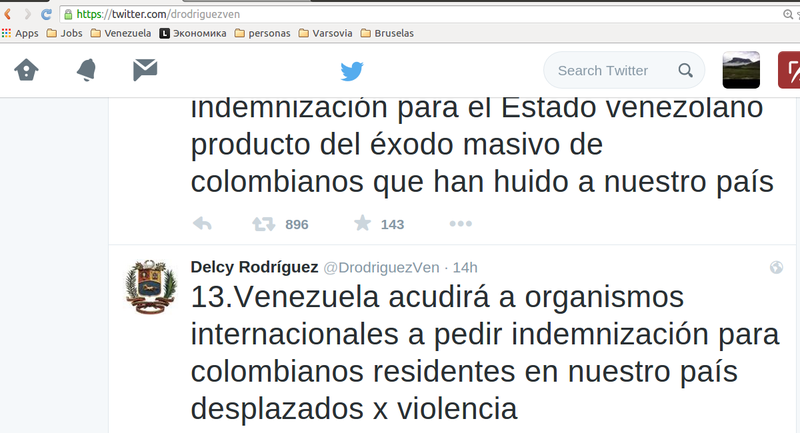 That is what the Chavista regime is demanding now. 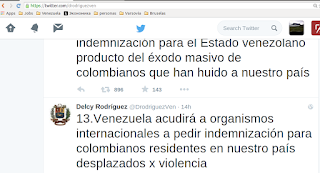 Delcy Rodríguez, Venezuela's minister of Foreign Affairs, declared, she will go to international organisations to ask for "indemnification to the Venezuelan state for the Colombians who fled from violence and who are currently living in Venezuela and for the exodus of Colombians to Venezuela. How cheap can Chavistas get? How Chauvinistic? How populist? Will it pay?